With the first real snowfall in the GTA and southwestern Ontario over the past weekend, it’s time to get ready for the winter fun. 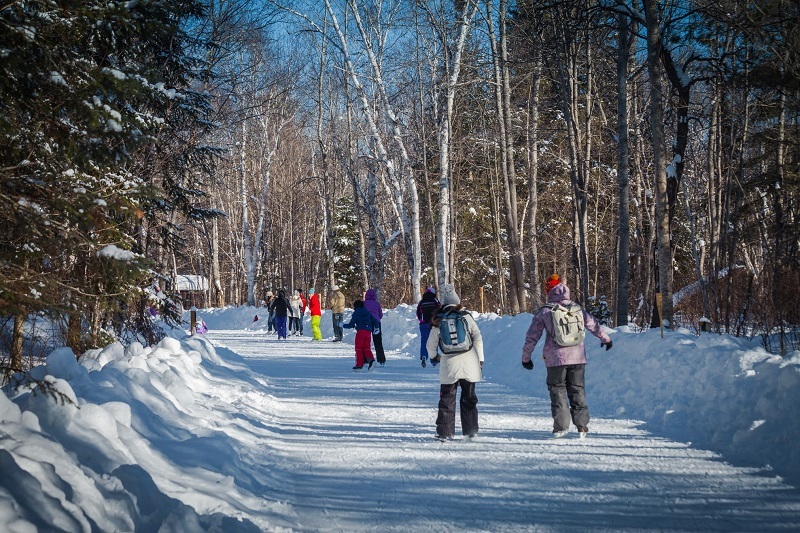 Among traditional outdoor activities offered in Ontario parks such as hiking, camping, cross-country skiing, and snowshoeing, there is one which stands out from the others – ice skating in Arrowhead Provincial Park. Those who like skating and enjoy being in the enchanted winter forest will definitely love this 1.3 km long treat! 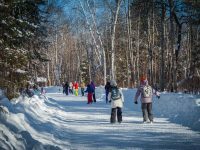 Though the ice trail has not been opened yet for the 2016/17 season, it will be welcoming visitors any time soon, so ensure your skating boots are sharpened. My first acquaintance with Arrowhead Provincial Park and its winter activities happened four years ago, and I’ve been keeping coming back since then. 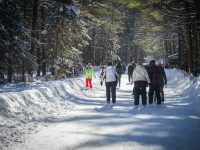 The ice trail has now become famous, which means that more and more people want to try what it feels like skating in the winter forest and breathing its crisp air. 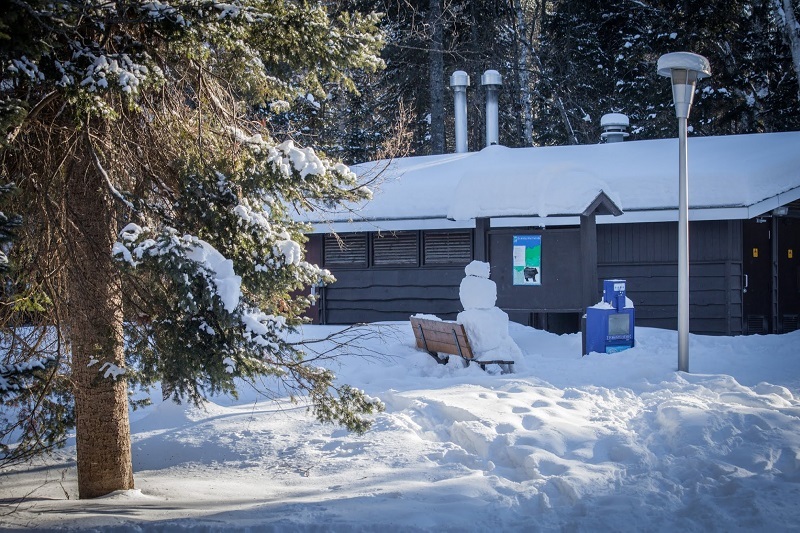 The park has done a great job to keep up with an increased popularity by adding a new winter parking lot and installing a few trailers with tables and fireplaces inside where people can eat, rest and warm up. 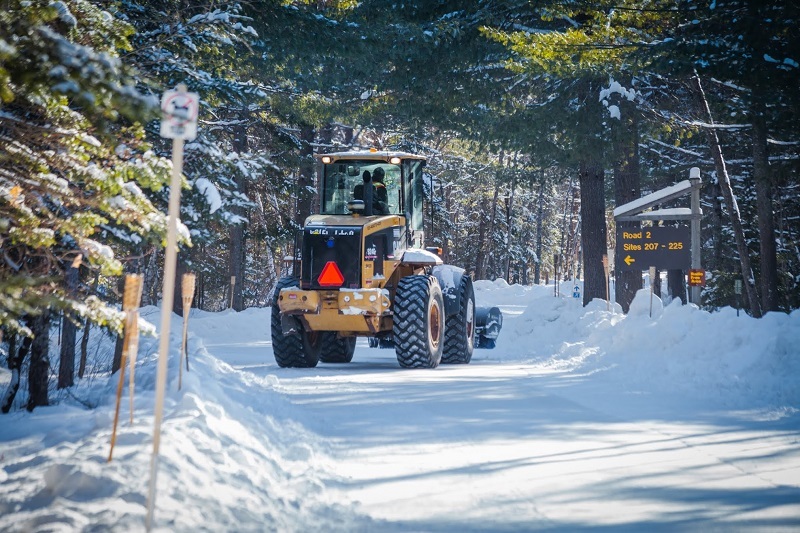 The ice trail is made on top of the paved road at one of the summer campgrounds. 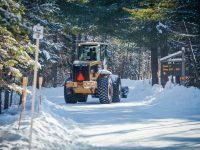 Twice a day, a big tractor and the NHL-class Zamboni machine professionally clean and smooth the ice trail’s surface until it looks like a mirror. What a joy to race on the fresh ice surrounded by old evergreen trees with snow-covered paws! 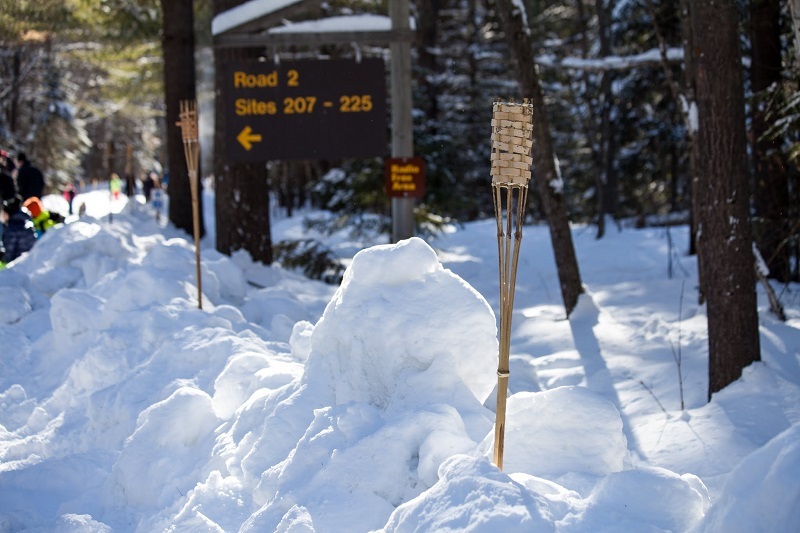 And I’ll tell you one secret: if you stay till after dark, the park staff will treat you with a special gift – tiki torches lit along the trail. It must be very romantic! Arrive early, especially on weekends, as the park can get busy, which means that you can spend any time from 10 to 30 minutes waiting in line to enter the park. Equipment rentals is available on-site and is located at the new winter parking lot. Just follow the signs. Please beware of ice trail hours of operation. Last year (2015/16), the trail was open every day from 11 am to 3 pm, and from 6 pm to 9 pm. From 3 pm to 6 pm, the trail was closed for maintenance. 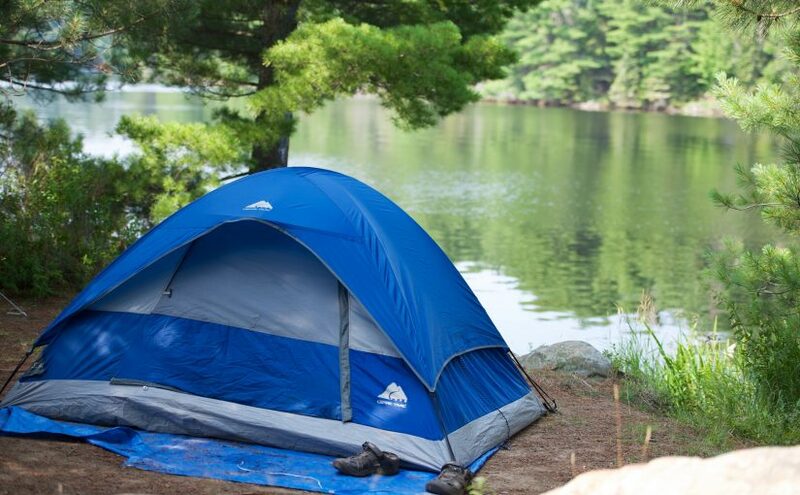 Round-trip from GTA and back is possible, but can be a bit tiring, so you may choose to stay overnight in Huntsville or Bracebridge and thus enjoy two days at Arrowhead Provincial Park. If you want to try something really unique, stay in one of the yurts right in the park! 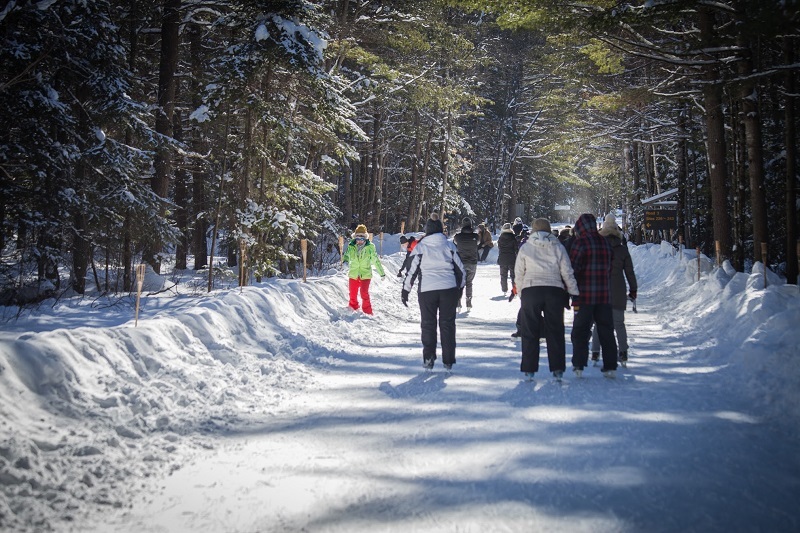 The best time to visit the ice trail at Arrowhead Provincial Park is December through March weather permitting. Check the Arrowhead Provincial Park’s website (http://www.ontarioparks.com/park/arrowhead) for the latest weather forecast and updates oo the ice trail condition. Arrowhead Provincial Park is located 230 km north of Toronto and 120 km south of North Bay. The closest city is Huntsville (only a few kilometers north). If you drive from Toronto, take Highway 400 north and then Highway 11 north, and if you drive from North Bay, take Highway 11 south. Exit at Arrowhead Park Road and follow the signs. 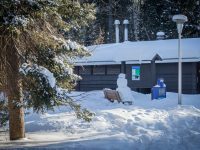 Arrowhead Provincial Park grooms and maintains over 33 km of ski trails for those who love cross-country skiing. 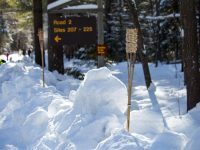 It also offers a variety of hiking and snowshoeing trails for those who prefer a slower pace. Trails range in length and difficulty level from easy to strenuous, so everyone can pick the one that best suits their needs and physical fitness. And, almost forgot, there is tubing hill (tubes provided) for the unforgettable family fun!